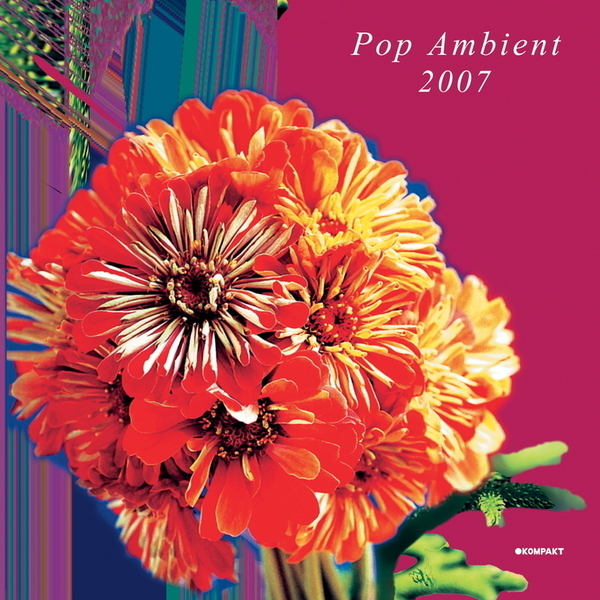 Appearing but just once a year, Kompakt's excellent Pop Ambient series has rapidly become a gauge of the deeper leanings of the music scene - with the past six installments proffering a seasonal gift of pleasing rectitude. Back for the 2007 edition, this latest installment is possibly the finest yet, bringing familiar names and faces to a bumper package of new material with exclusives from the likes of Gas, Marsen Jules, Klimek and Triola offering up contributions which pulsate and float with impossibly serene textures. Justifiably getting some serious attention thanks to the inclusion of a triple-X rarity in the form of 'Nach 1912' by Gas (previously never released on CD and the proverbial hen's tooth), this is a compilation that understands the need for more diffused fair to include a delineated structure in order to prevent it oozing into the soporific. Opening with Popnoname's 'Hafen', the compilation floats into view on an opaque soundscape which blooms into a real finale without any reliance on bombast or superfluous beats. In fact there are none... Next to the table is 'Pop Ambient' stalwart Markus Guenter, with the frosty shimmer of 'Altocomulus Opacus', before Gas arrive with a lost classic. Tapered around a throbbing digital hum, Gas incrementally add layer after layer of spiraling atmospherics to the composition until it takes on a thoroughly wide-screen sensibility which recalls the likes of William Basinski and Badalamenti. Elsewhere, Marsen Jules' 'Ou La Nostalgie Habite' is a skittering snowfall of delicious chimes, Thomas Fehlmann delivers a mealy batch of billowing aural silk, whilst Andrew Thomas closes on the candy-floss optimism of 'I Am Here Where You Are'. Just gorgeous.